It’s almost Valentine’s Day, YEA! I love this holiday! 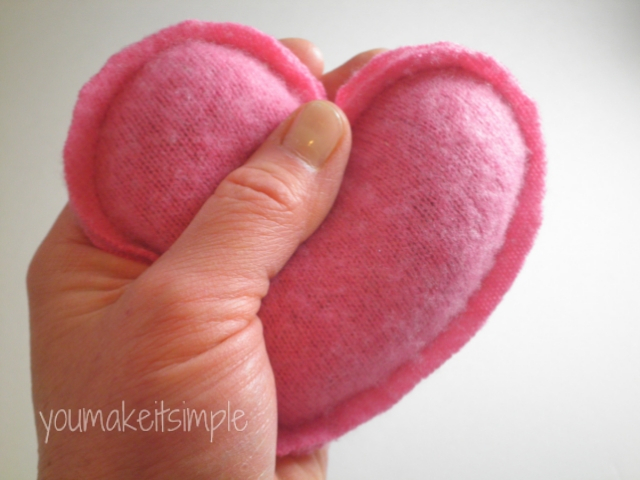 I always like to make some kind of valentine gift each year and I think this year I am going to give these fun heart shaped hand warmers. They are WAY easy to make and will be easy to mail to my family and friends. I am terrible at sending out Christmas cards, but I do enjoy making and sending out valentine cards with a personalized note (of course). That is one of my pet peeves, getting a generic card or letter in the mail. Very rarely do you get something in the mail besides bills and advertisements. Don’t you think it is fun to get a card in the mail with your name HANDWRITTEN and maybe even a cute sticker on the back of the envelope? My mother-in-law and I still send notes back and forth every once in a while in the mail, and I just love it. We do converse with email, but there is just something about a written note that really lifts your spirits. Even with her arthritic hands, she still sends beautiful handwritten letters. This little rice bags really do work quite well. Just pop them in the microwave for 30-40 seconds and place them in your coat pockets. They are a great thing to send your kids off to school with, or take in the car on the way to work. 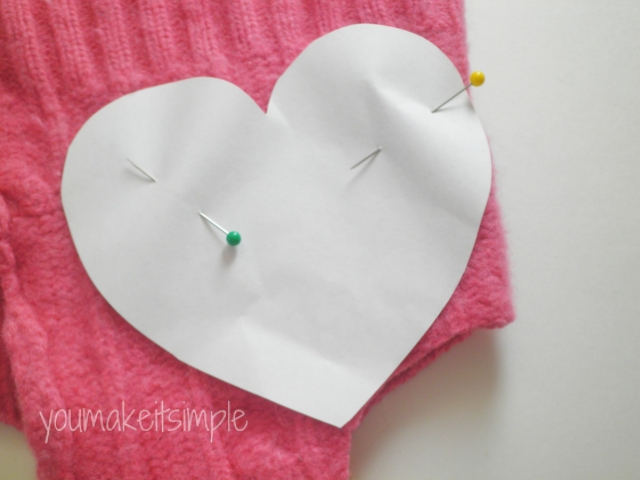 So……go to your felted sweater, fleece or flannel stash and pick out some cute, bright colors and get to work, and with your handwritten valentine note, send a set of cozy heart shaped hand warmers. 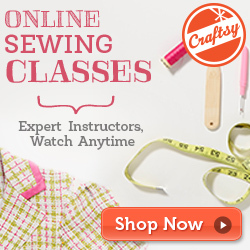 Sew around the edge using a 1/4 inch seam allowance. 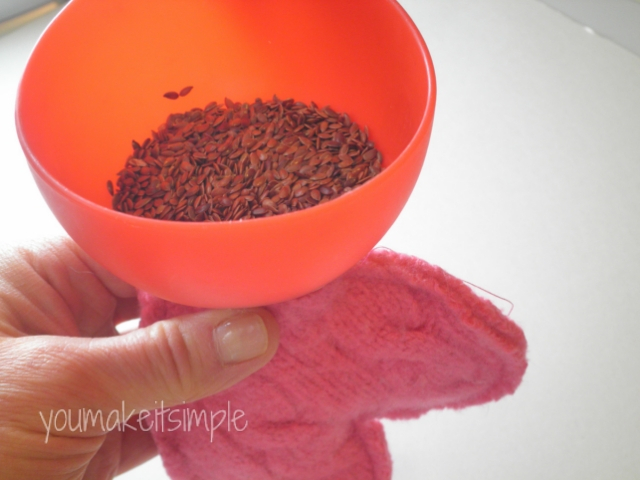 Using a funnel, fill with 1/2 – 3/4 cup flax seeds or rice. Flax seeds don’t put off as much aroma as the rice and tend to stay warmer a little longer, but rice still works quite well. Go back to the sewing machine and sew the opening closed. Ta-dah! There you have it. Finish them off with a ribbon and a note attached explaining how to heat and use the rice bags. 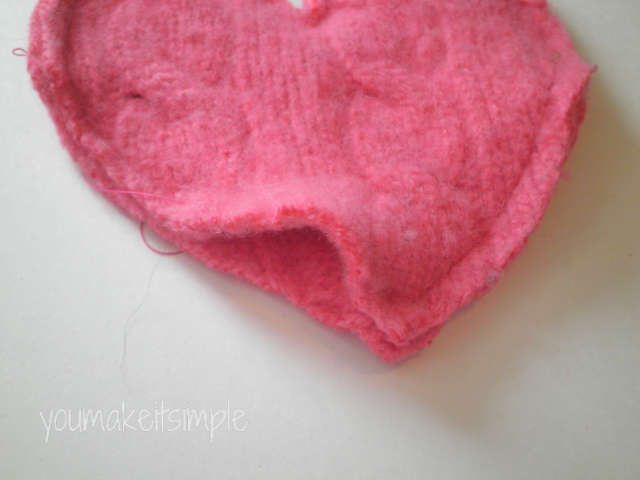 Click HERE to download heart pattern. Check out my therapeutic rice bag pattern set in my craftsy and etsy shops. Includes the heart and rectangle hand warmers, neck bag, eye pillow, back soother and foot warmer patterns. My husband and I have become wimps. We heat up the foot warmer every night and throw it in the bottom of our bed. It works like a charm, keeps our feet nice and toasty! This puppy stays warm for a good 3 hours or more. All of these bags are really easy and fun to sew up. Here is a link for the foot warmer tutorial. If you have any questions, send me a note.